South Texas College (STC) is partnering with the Texas Parks and Wildlife Department (TPWD) to construct an indoor target range at the College’s new Regional Center for Public Safety Excellence in Pharr, TX. 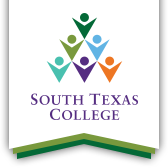 During a press conference held November 29 at the Texas State Capitol, South Texas College was awarded $307, 219 for the planning phase of a 13,300 sq. ft. indoor 12-lane target range through TPWD’s Target Range Grant Program. "I appreciate Texas Parks and Wildlife for working with our local, state, and federal partners to make this investment possible. This grant would not have been awarded without the dedication, cooperation, and commitment from all those involved,” said Hinojosa. “The educational and training opportunities provided for the public and law enforcement will further enhance the public safety of our region."